England's final match of the 2018 Six Nations Championship..........needs to restore some pride in the shirt. 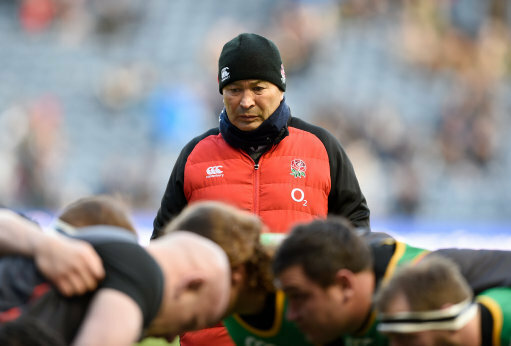 England have the chance to deny Ireland the Triple Crown and the Grand Slam.........so plenty incentive to correct the last two week's games. Not sure if Jones has gone with a knee-jerk reaction but he has made changes. Ford, Danny Care, Joe Launchbury and prop Dan Cole lose their places in the starting XV. Richard Wigglesworth, George Kruis and Kyle Sinckler all start. James Haskell returns ,Chris Robshaw switching to blind-side, Sam Simmonds coming back in at number eight. Jamie George, makes way for Captain Hartley. I really don't hold much hope for a win on Saturday, I fear Ireland are too strong for England but I would dearly love to be proved wrong. Anyway, Good Luck England! Just give us a good performance please! 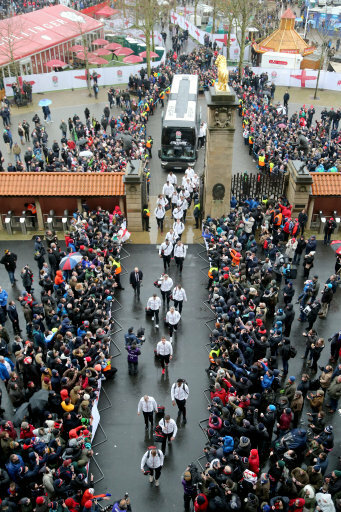 England: Watson; May, Joseph, Te'o, Daly; Farrell, Wigglesworth; M Vunipola, Hartley, Sinckler, Itoje, Kruis, Robshaw, Haskell, Simmonds. Ireland: R Kearney; Earls, Ringrose, Aki, Stockdale; Sexton, Murray; Healy, Best (capt), Furlong, Ryan, Henderson, O'Mahony, Leavy, Stander.